Orange Avenue is a five-piece MTV Buzzworthy pop-rock group from the shores of Daytona Beach, FL. They’ve set themselves apart sonically from their peers and have become one of Florida’s largest concert draws. Their diversity as musicians and performers has allowed them to perform with such acts as The All American Rejects, Rihanna, Smash Mouth, We The Kings, Anberlin, Parachute, Lifehouse, Fuel, Seven Mary Three, and many other talented artists. Their music has been heard on various MTV programs, MLB Network , NFL Network, NBC's The Voice features, Spike TV's TNA Impact, Teen Nick, Fox Sports and other national broadcasts. 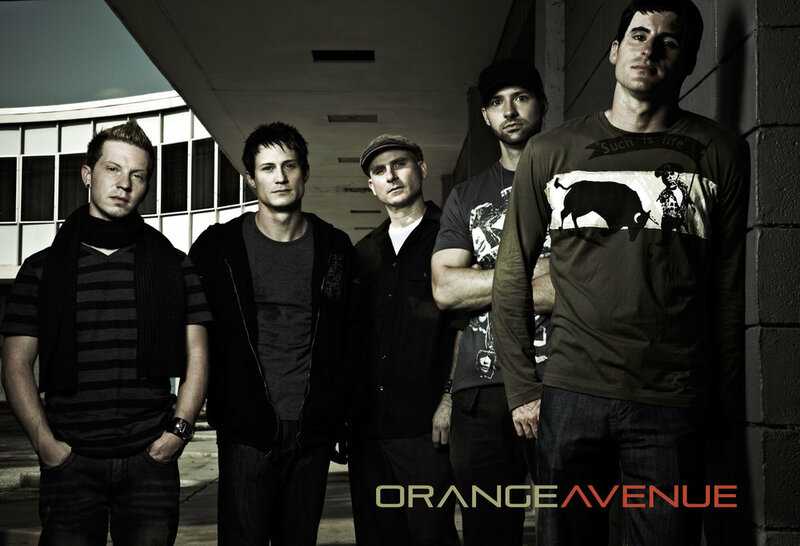 After a brief hiatus Orange Avenue's original vocalist Derek Anderson has rejoined the group. The band is eager to pick up where they left off. Infusing original cover medlies into their shows "The combination is perfect", said Florida Producer Justin Daniels, "The band's way of making music has nicely evolved". Always ready for anything, Orange Avenue is eager to give their fans, both old and new, even more great music that comes straight from the heart; fueled by the sweat that comes from the craft they all love and respect together... music... for themselves... for the fans... for the world. • Josh's winning performance KBUSA "Somebody to Love"